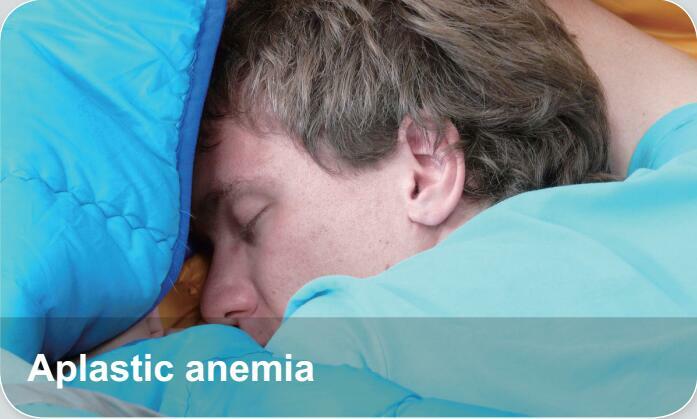 Aplastic anemia, also spelled aplastic anaemia, is a rare disease in which the bone marrowand the hematopoietic stem cells that reside there are damaged. This causes a deficiency of all three blood cell type: red blood cells , white blood cells,and platelets . Aplastic anemia can be caused by exposure to certain chemicals, drugs, radiation, infection, immune disease; in about half the cases, the cause is unknown.